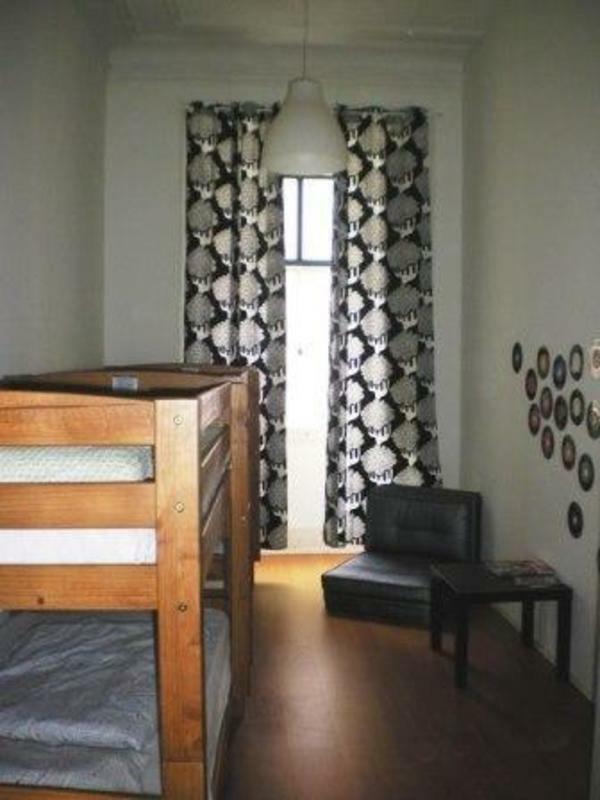 Lisbon Lover Hostel has four dorm types available - 2 beds, 5 beds, 8 beds and double bed. And can sleep a total of 19 people. All the rooms are private. Double room come with a double bed. Bed sheets and linen are provided and all rooms come with security lockers, reading lights. 24h hot showers and free wi-fi. Lisbon Lovers is surrounded by Chiado, Bairro Alto, Principe Real and Baixa – walking distance to all the best Lisbon places, ‘must see’ and go out spots. You find the best spots and fell in love with Lisbon. TAXI: From Lisbon Airport you can get a taxi for 6€. This will take approximately 115 minutes depending on traffic. By tube from the airport: Take the Red Line and change the line in S. Sebastião (blue line), and exit in Rossio Station or in Baixa Chiado. This will take approximately 33 minutes.